There’s no disputing the fact that riding a motorcycle is a thrilling experience. It also comes with a multitude of practical benefits such as lower gas consumption, cheaper maintenance and easier parking. Unfortunately, riders take a risk every time they hit the road. 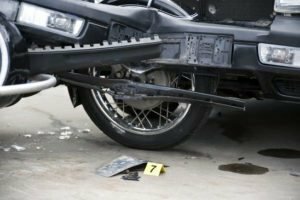 According to the National Highway Traffic Safety Administration, 4,668 motorcyclists died and 88,000 sustained injuries in 2013. If you were injured by a negligent driver in Kentucky, contact the Troutman Law Office. Matt Troutman is an accident lawyer in Louisville who will help you pursue the maximum settlement. If your case goes to trial, Mr. Troutman has the litigation experience to represent your interests in court. Call 502-805-0321 to schedule a free case evaluation. You can also visit http://car-accident.usattorneys.com/kentucky/ to learn more about personal-injury claims in Kentucky. You should never ride without wearing a helmet with a certification from the Snell Foundation or the Department of Transportation. You should also don a pair of riding gloves, a leather jacket, leather boots with rubber soles, and eye protection. You should know how your bike works and be able to identify any faults or parts that need repair. Also, Motorbike Writer reminds bikers to conduct pre- and post-ride inspections. If you are an inexperienced rider, then do not attempt dangerous maneuvers. Avoid riding in rain and other adverse weather, and do not ride at night. Keep your riding style as predictable as possible. Your risk of crashing will reduce substantially if other drivers can anticipate your actions. Avoid slamming on your brakes and tearing open the throttle, and do not weave through traffic. Remember to use your signals whenever you turn or change lanes. 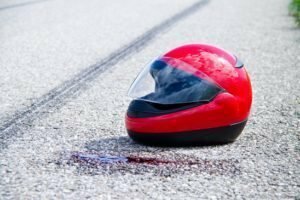 If you were hit by a reckless driver in Kentucky, contact the Troutman Law Office. Matt Troutman is a Louisville accident attorney who will handle the legal aspects of your claim so you can focus on recovery. Mr. Troutman will evaluate your case, interview witnesses, gather evidence, structure your claim and handle settlement negotiations on your behalf. Call to schedule a free case evaluation.